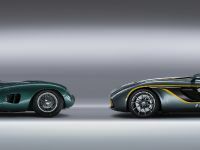 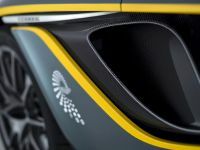 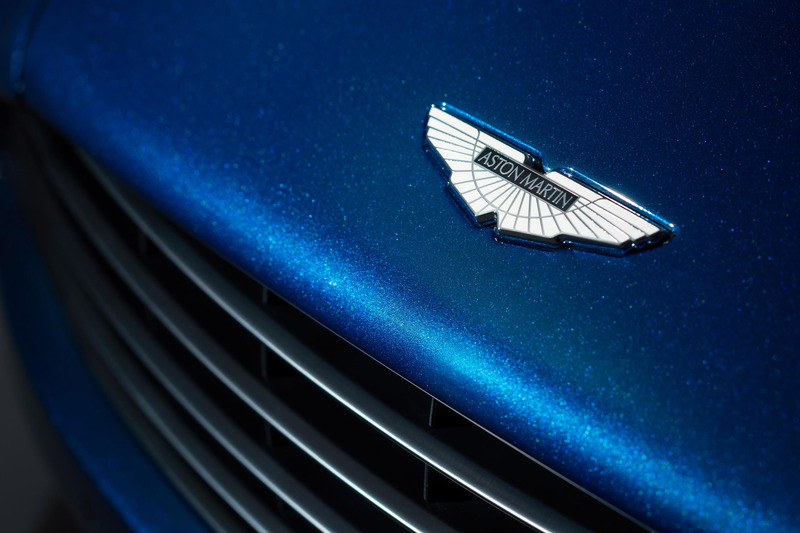 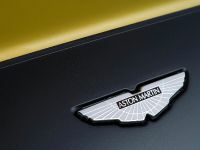 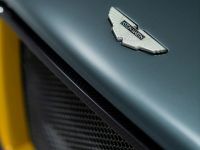 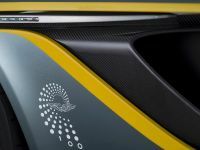 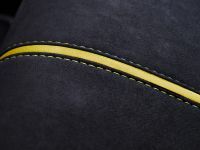 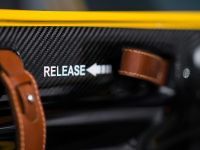 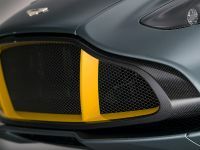 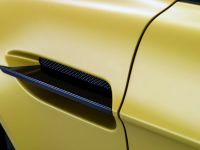 Aston Martin is going to make a premiere of its three new models at this years Pebble Beach Concours d'Elegance, which is going to take place between 14th and 18th of August in California. 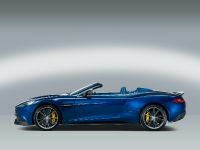 The models that are going to have their premiere are the new Vanquish Volante , the V12 Vantage S and the CC100 Speedster Concept. 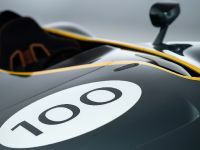 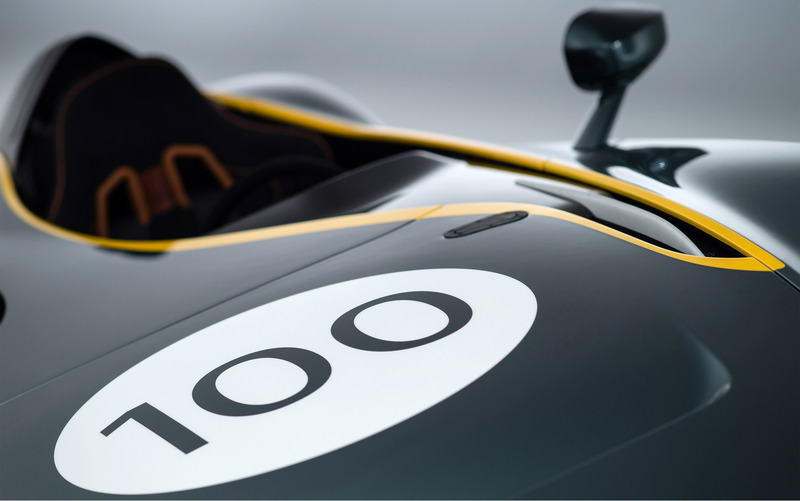 This year the iconic British brand is making centennial celebrations around the world. 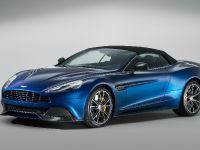 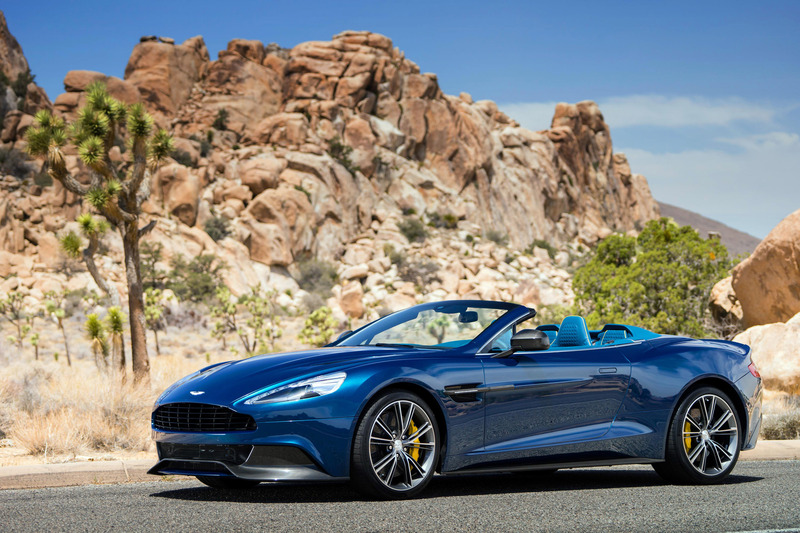 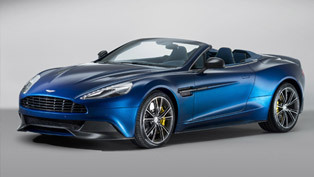 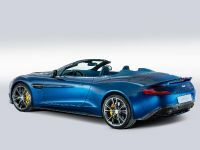 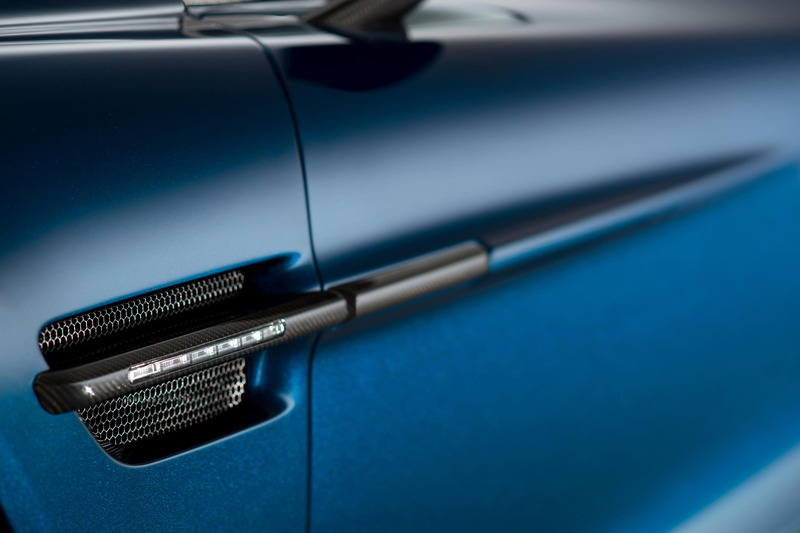 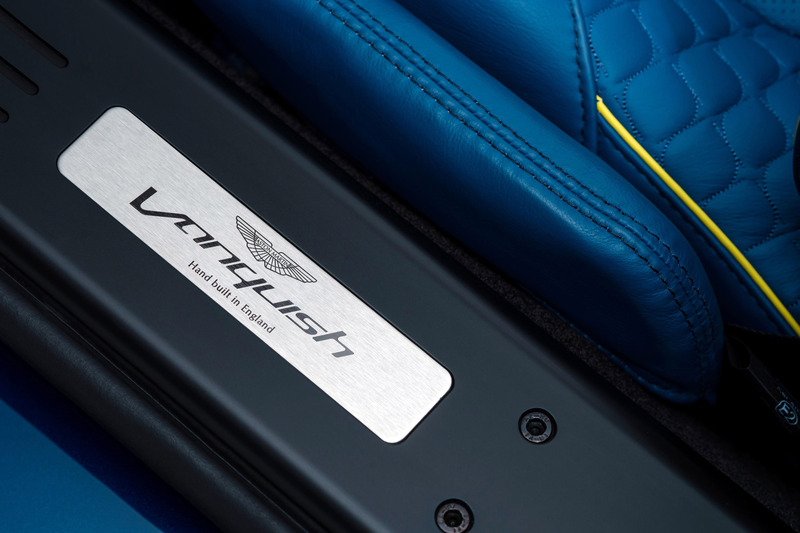 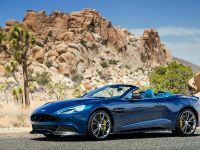 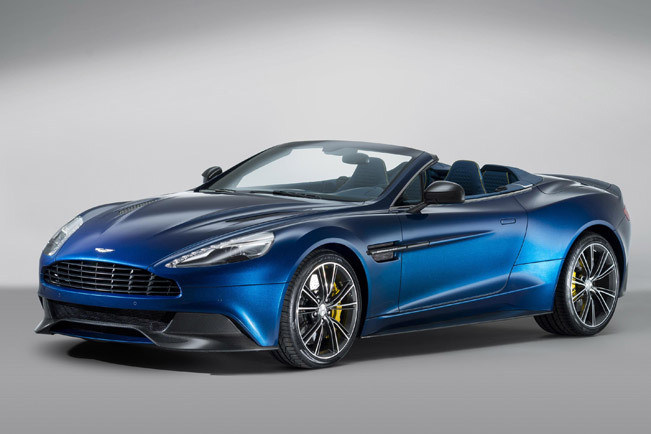 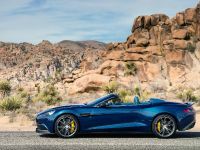 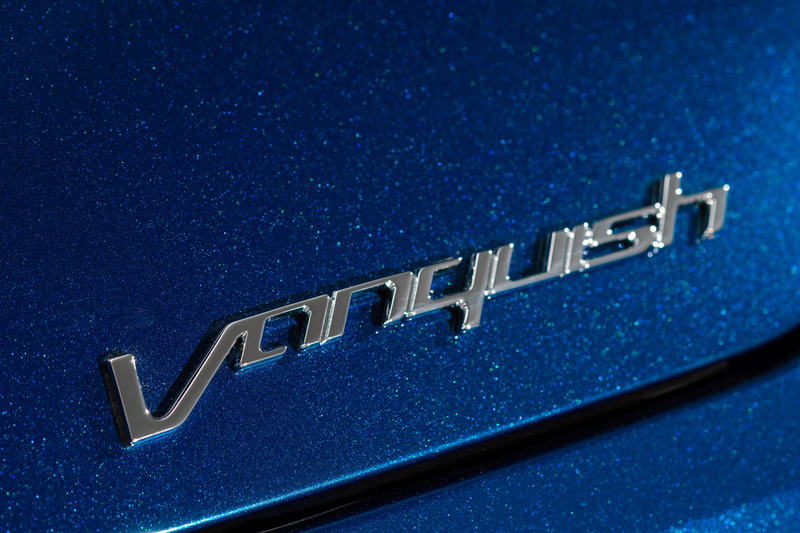 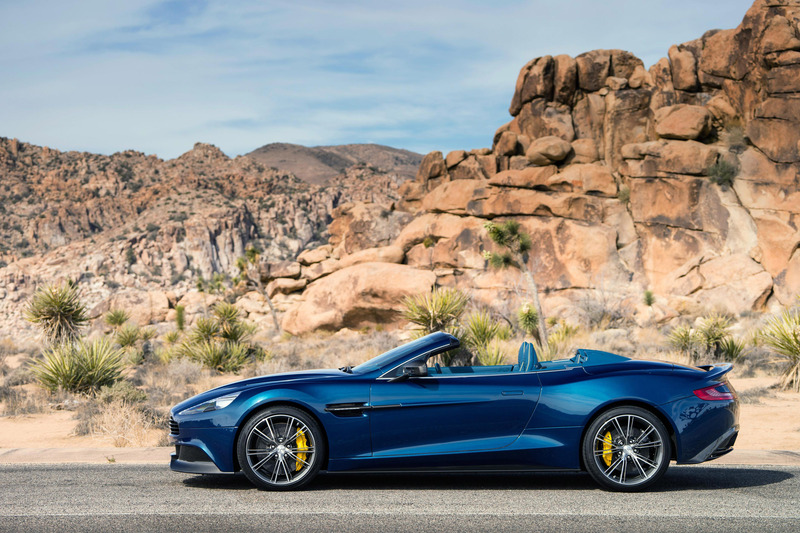 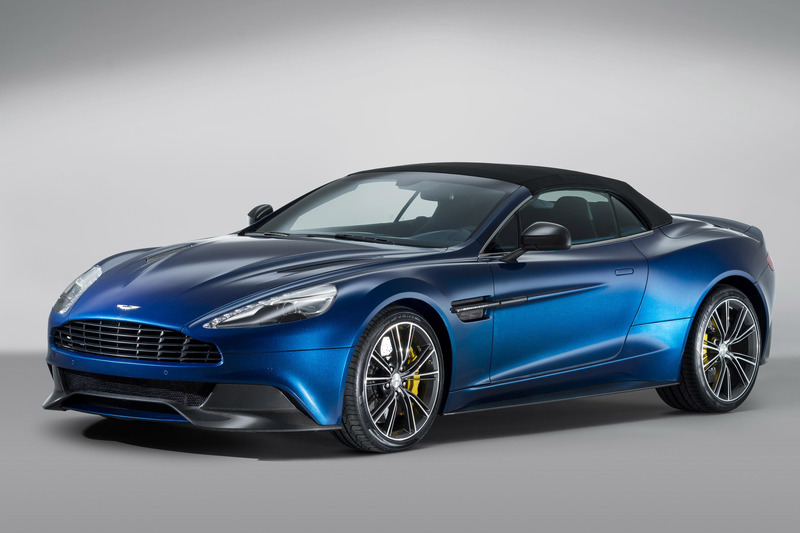 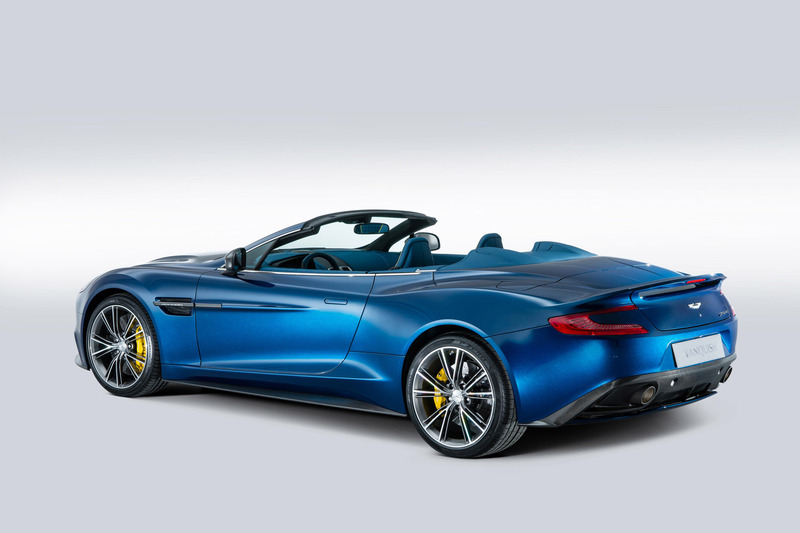 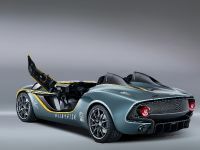 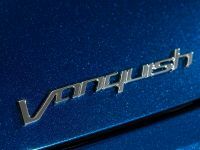 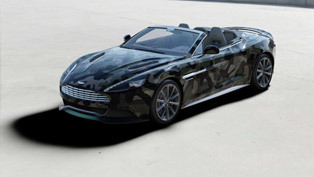 The Vanquish Volante will make its global debut at Pebble Beach, while the V12 Vantage S and CC100 Speedster Concept are making their first appearances in the United States. 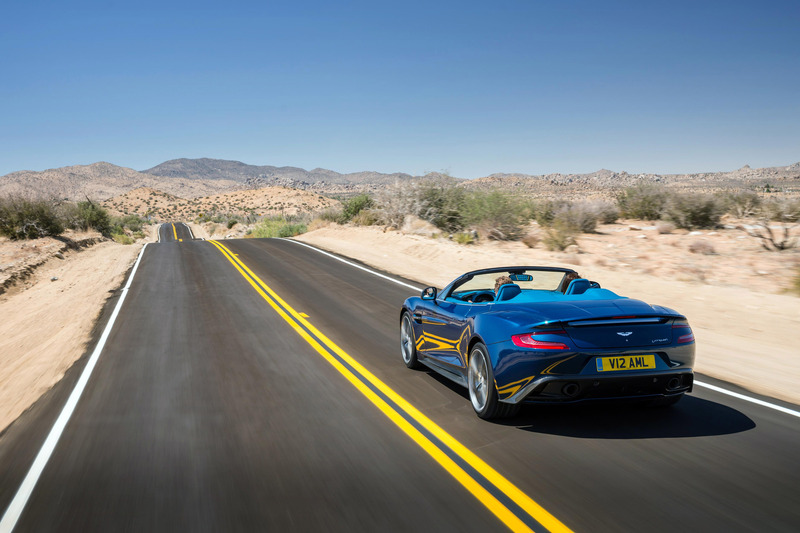 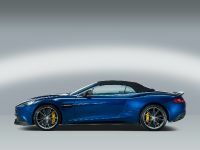 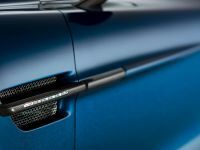 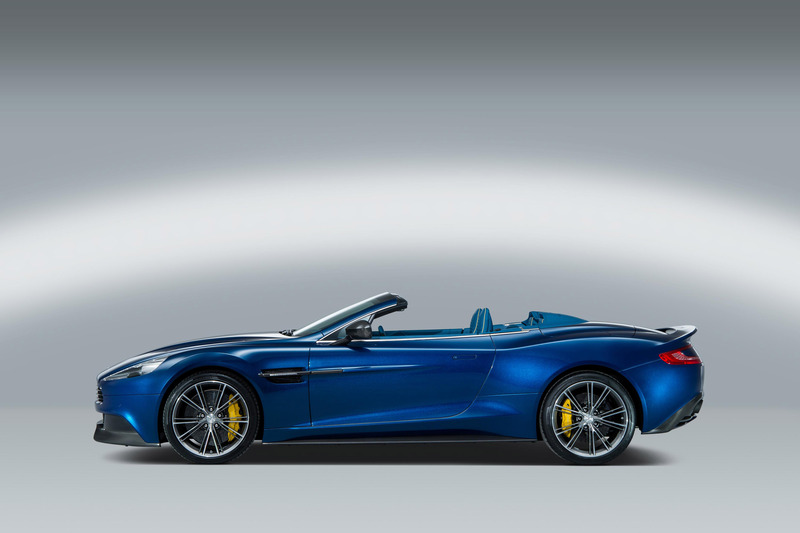 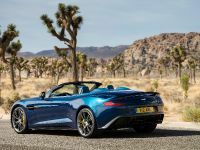 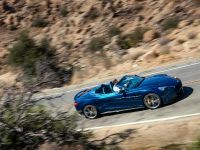 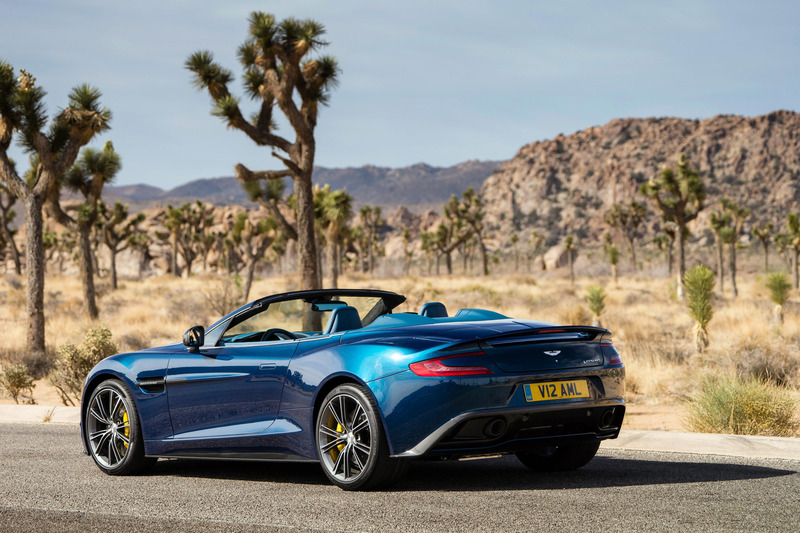 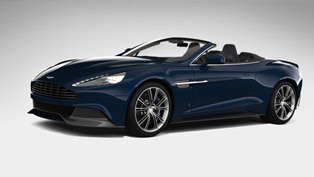 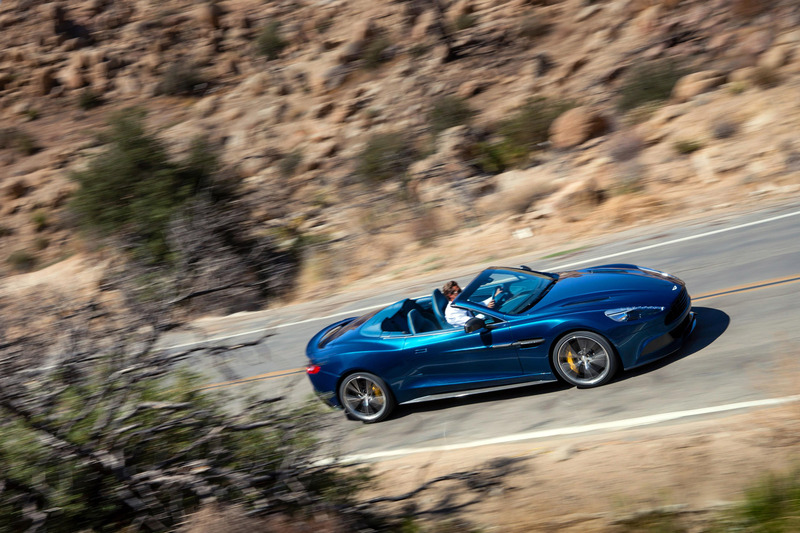 First, the Vanquish Volante draws its power by the latest generation AM11 naturally aspirated 6.0-litre V12 petrol engine. 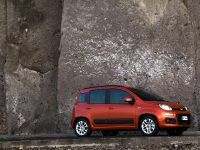 The latter is matched with a Touchtronic 2 six-speed automatic gearbox. 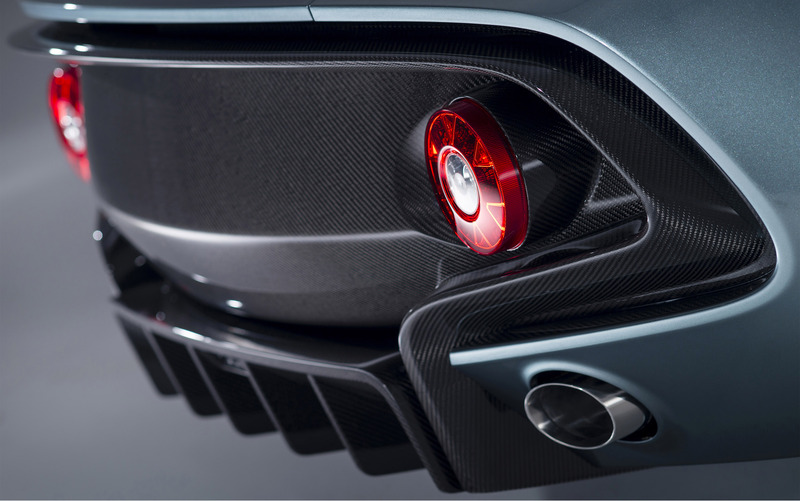 The car is able of producing 565 hp (415 kW) at 6,750 rpm and has a peak torque of 620 Nm (457 lb-ft) at 5,500 rpm. 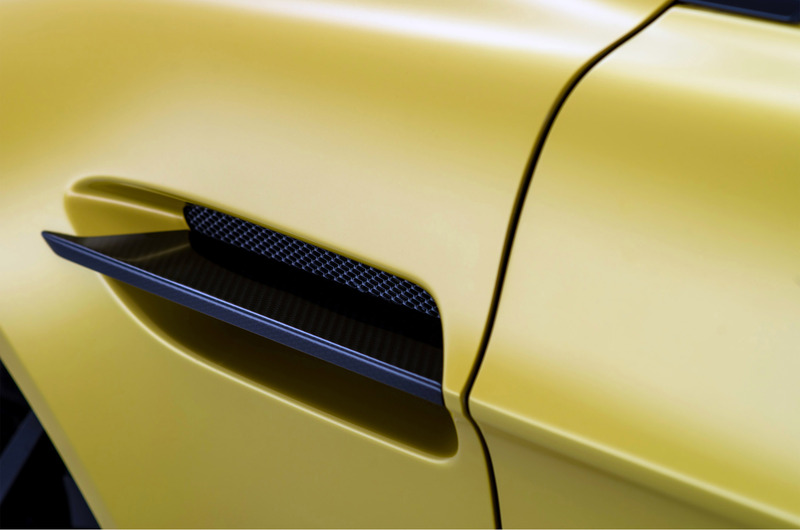 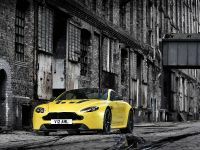 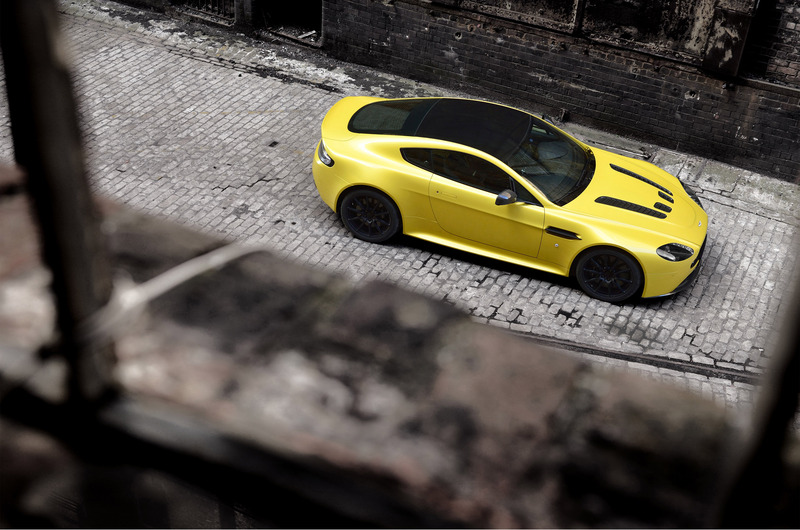 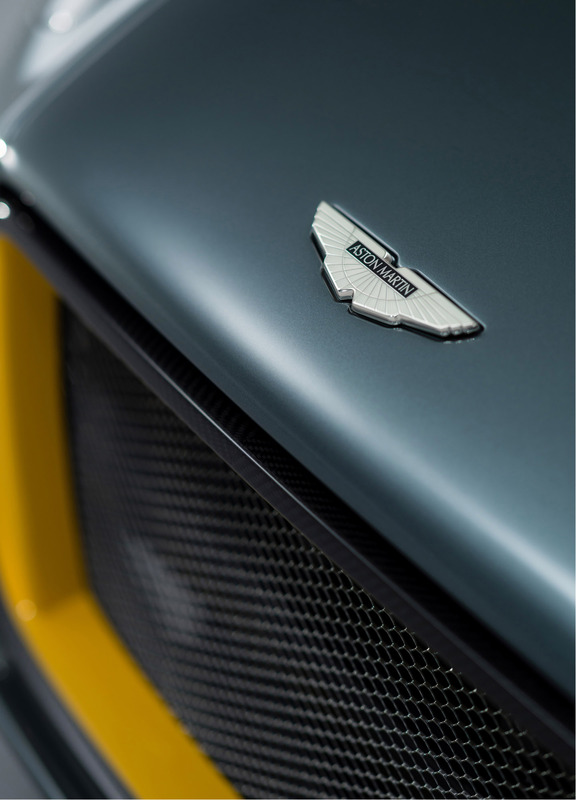 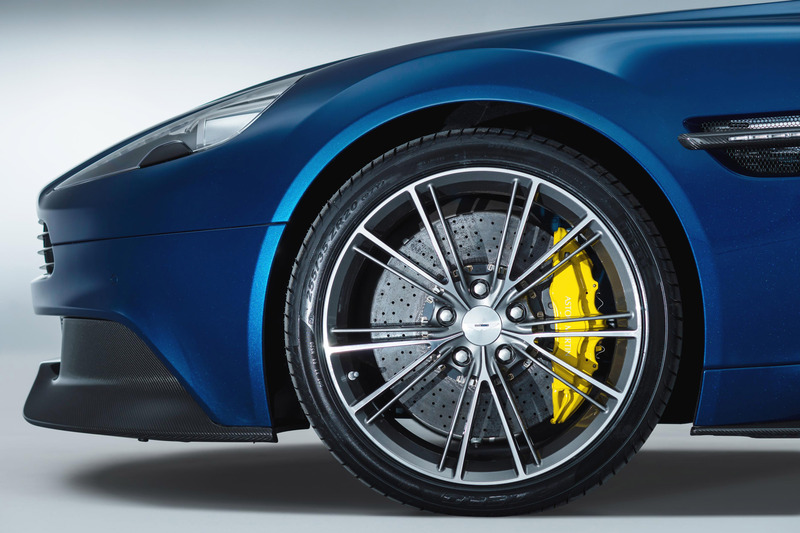 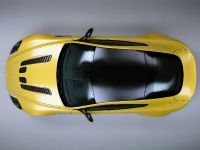 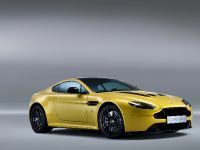 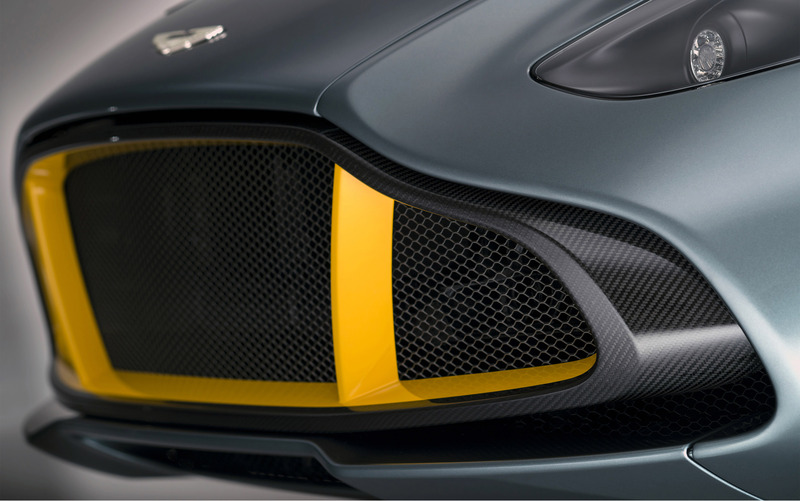 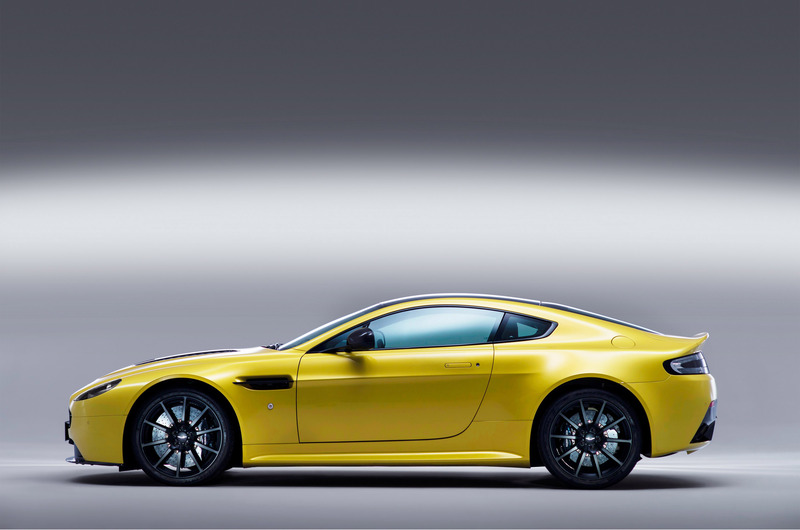 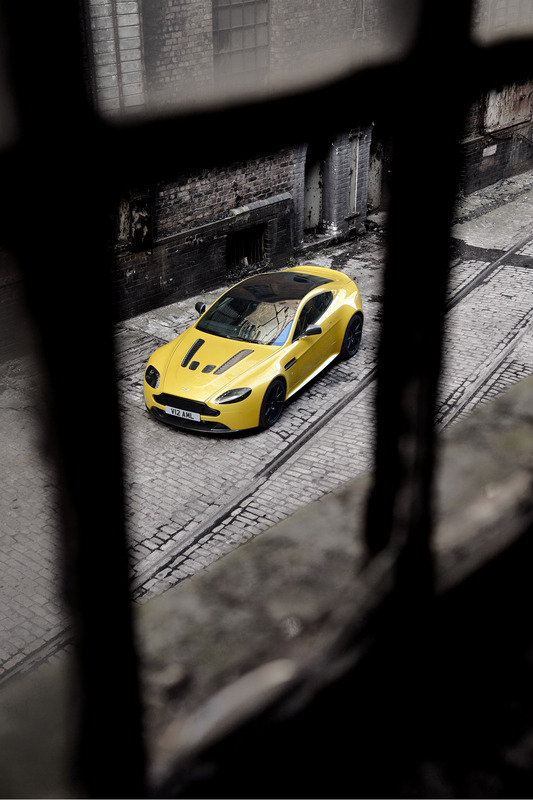 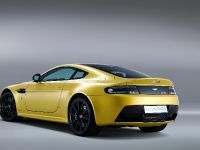 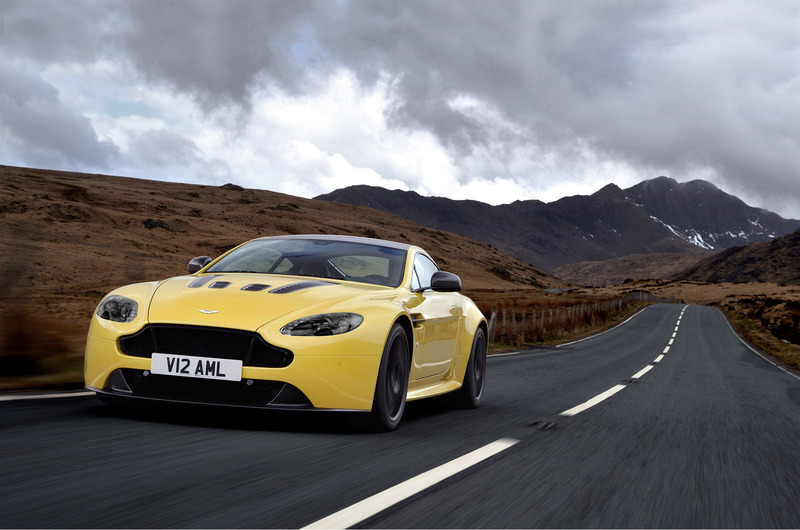 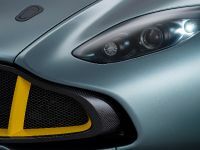 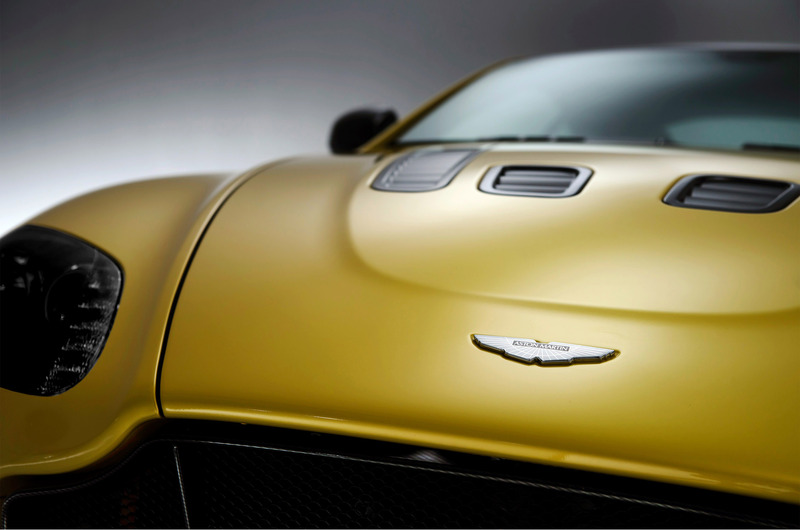 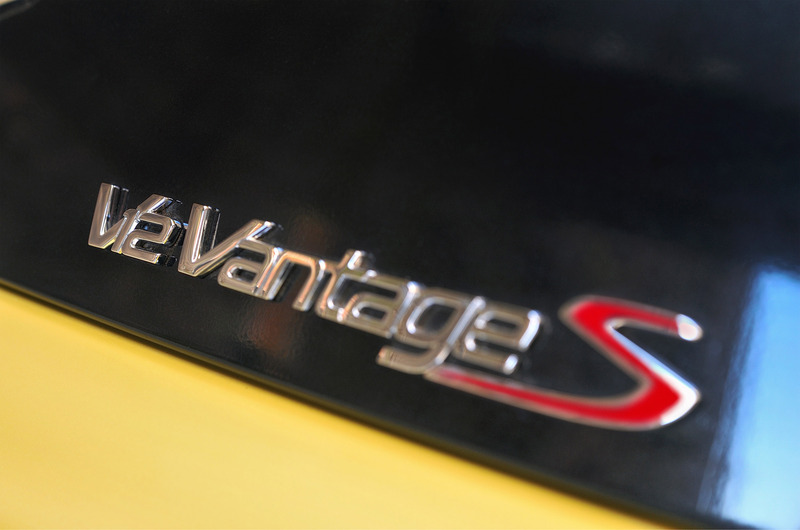 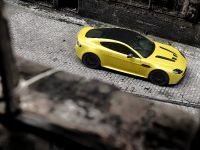 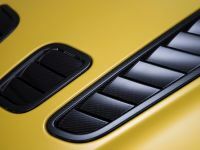 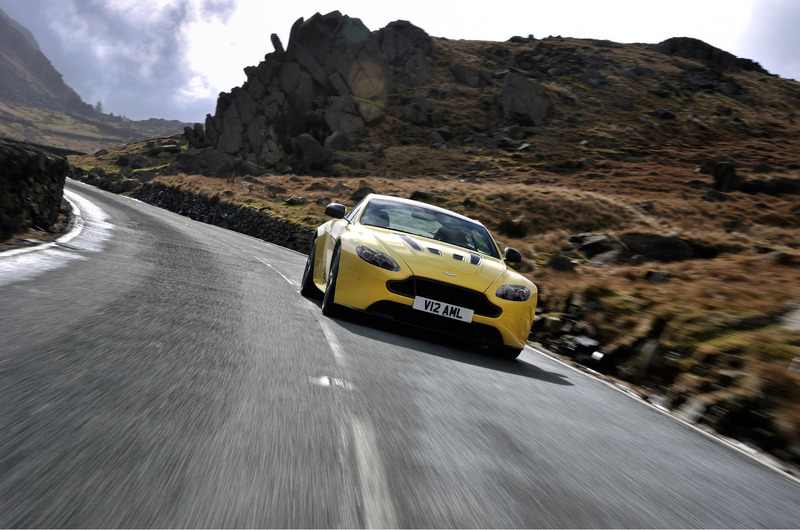 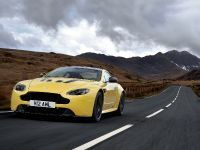 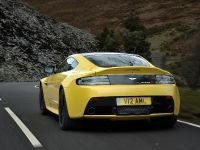 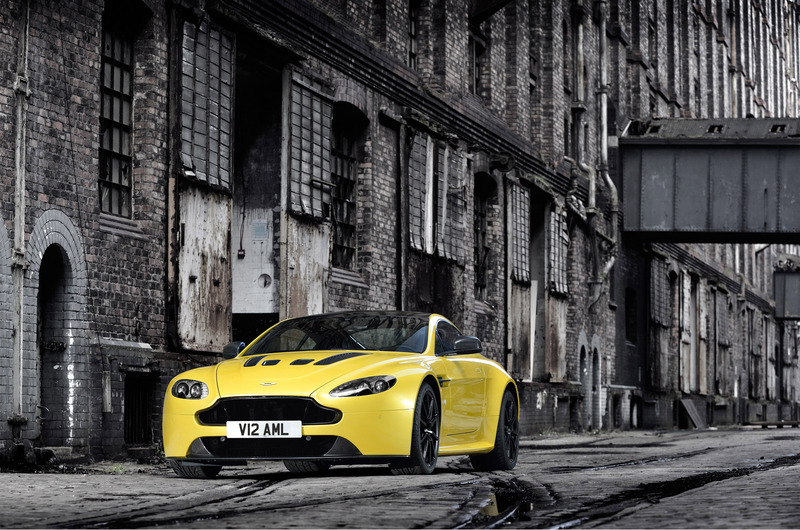 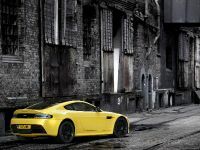 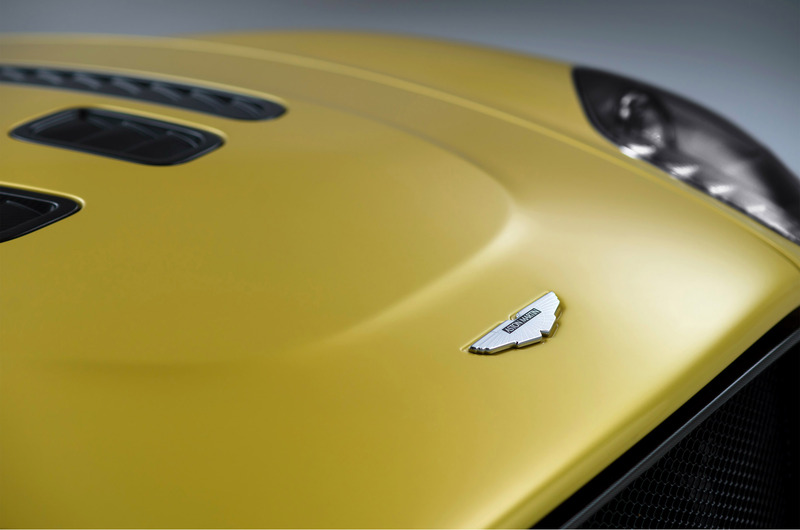 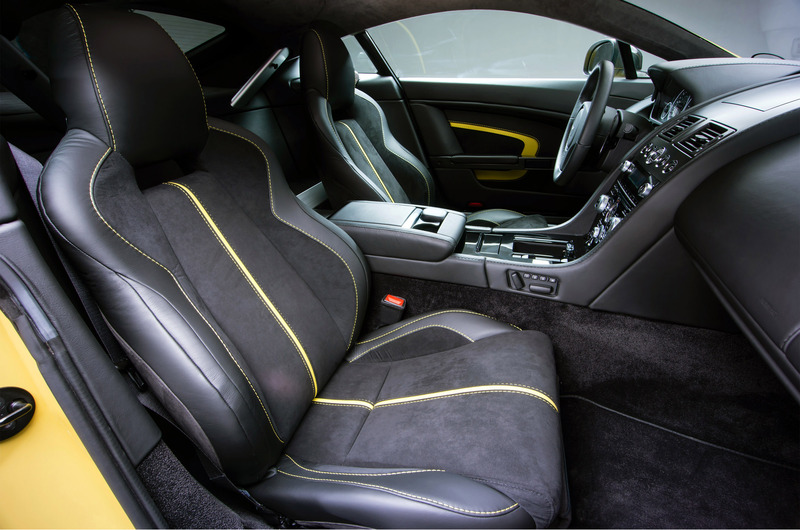 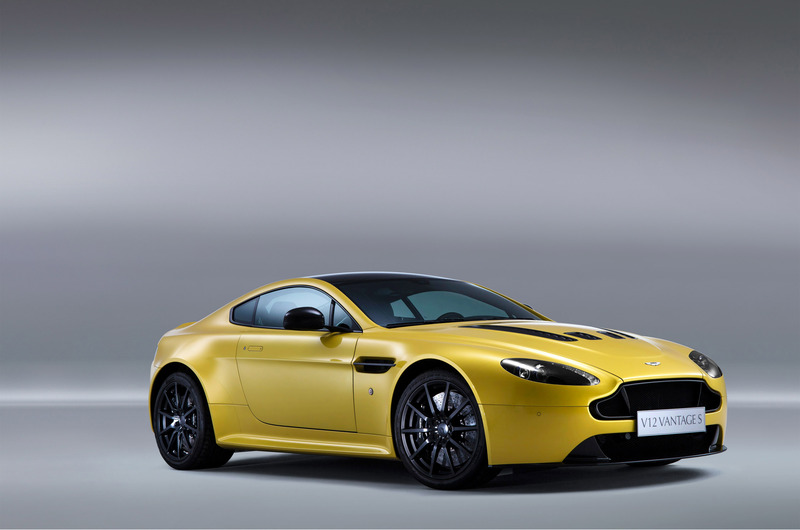 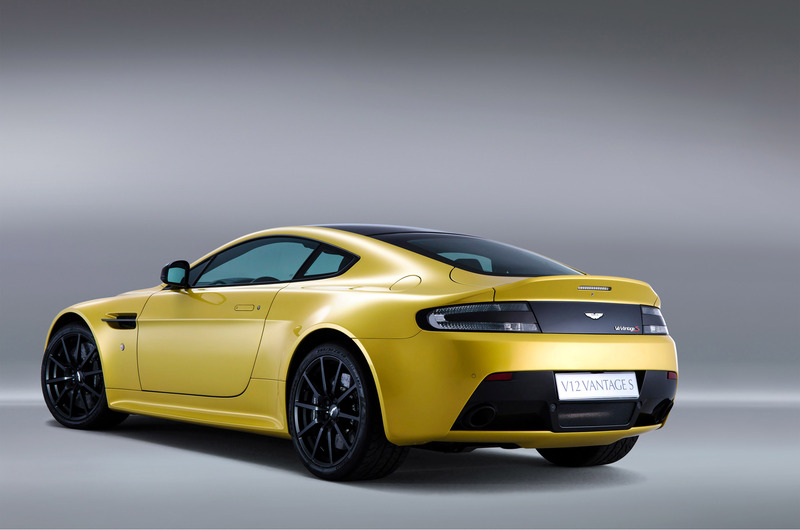 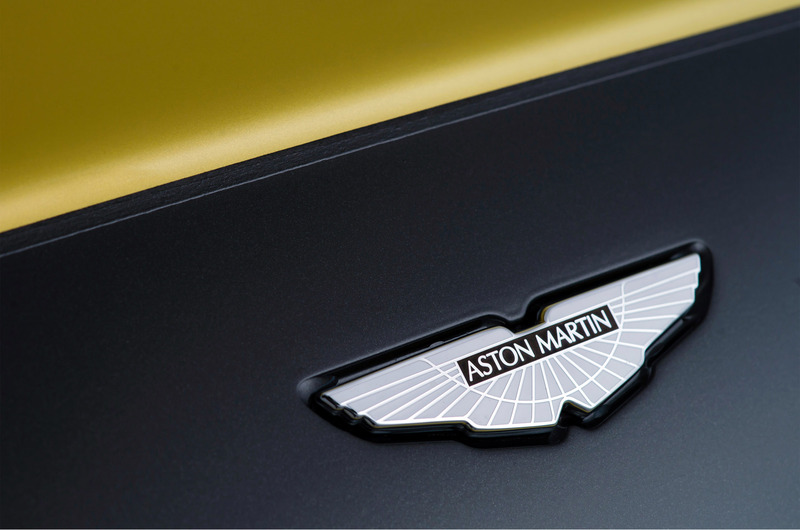 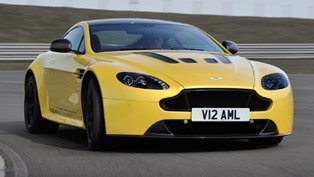 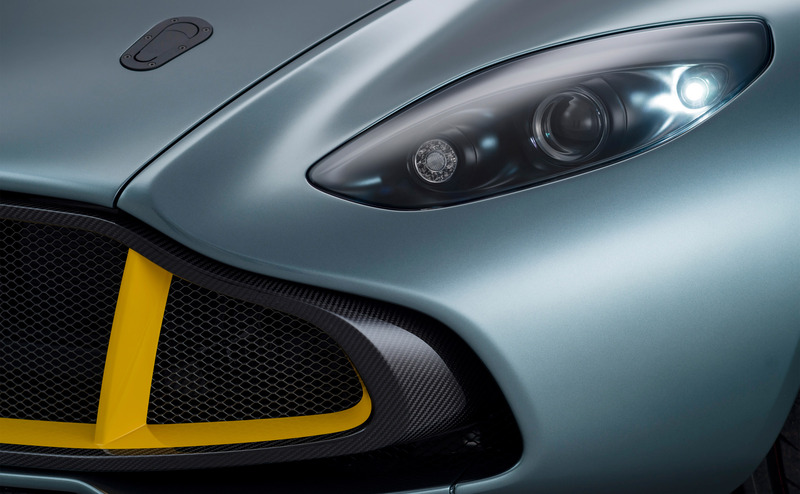 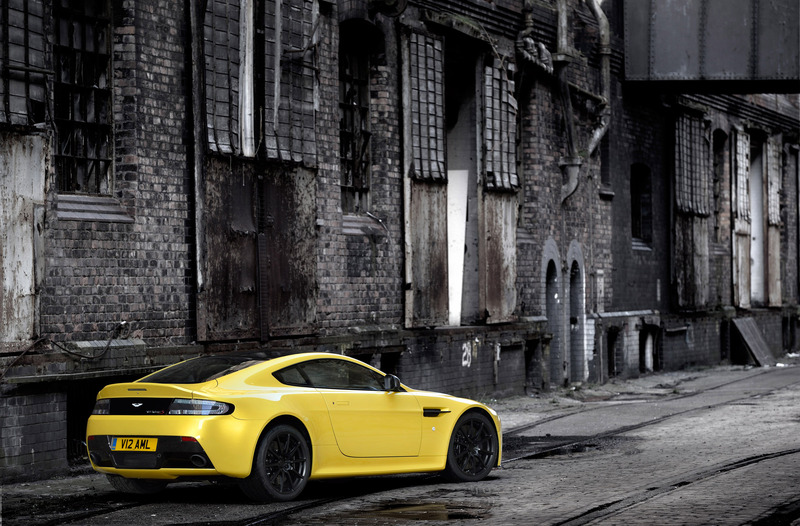 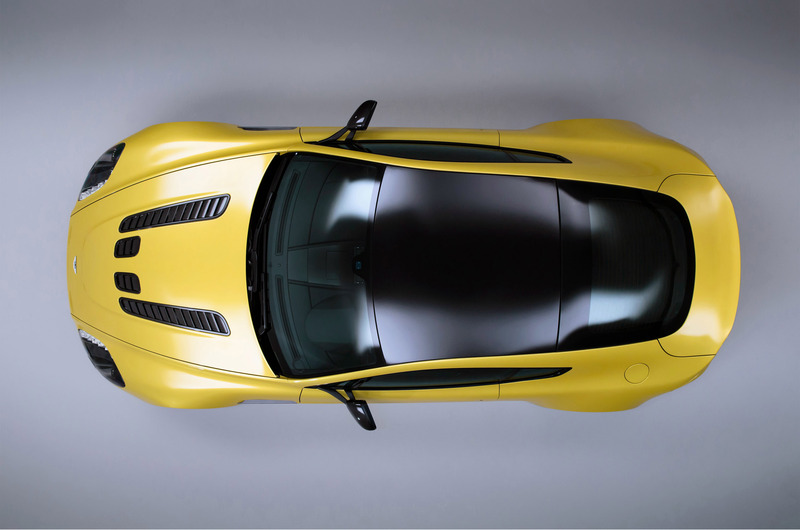 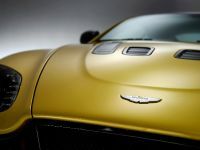 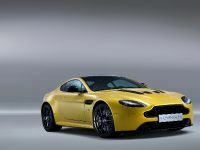 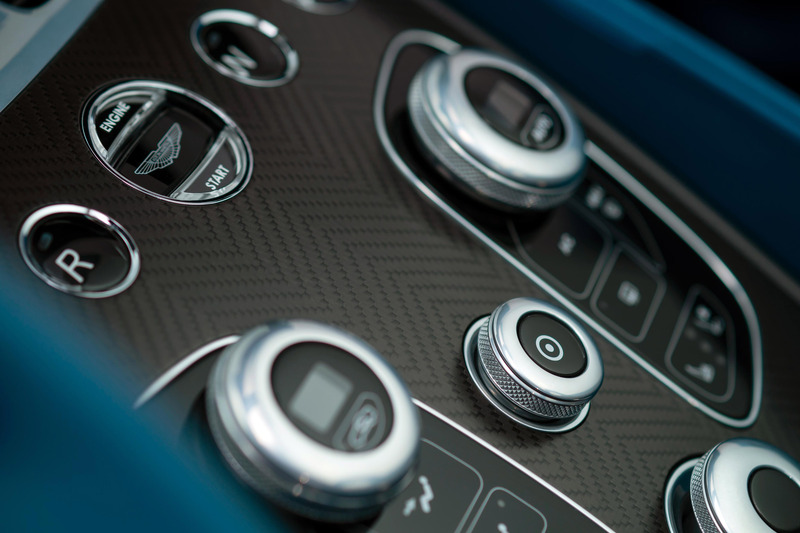 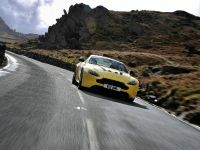 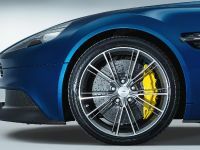 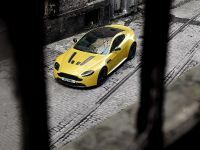 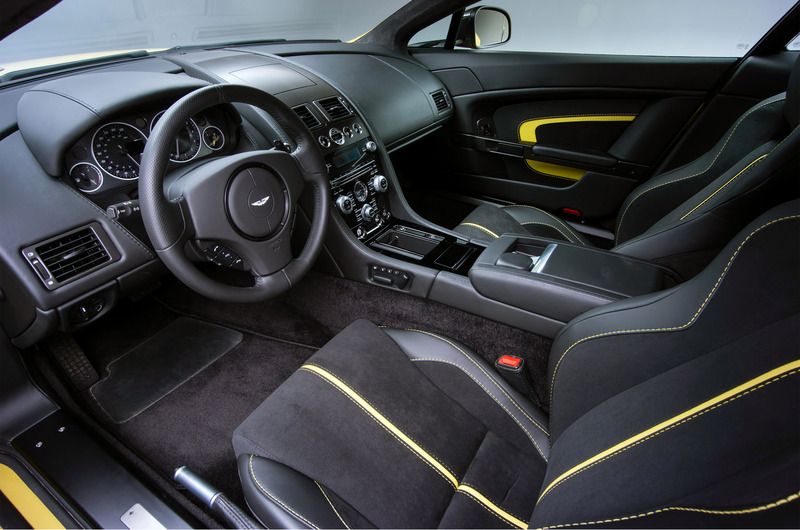 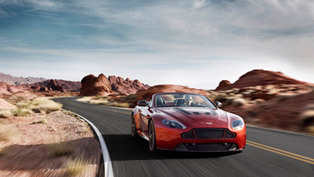 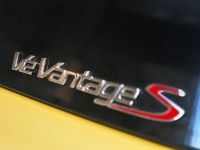 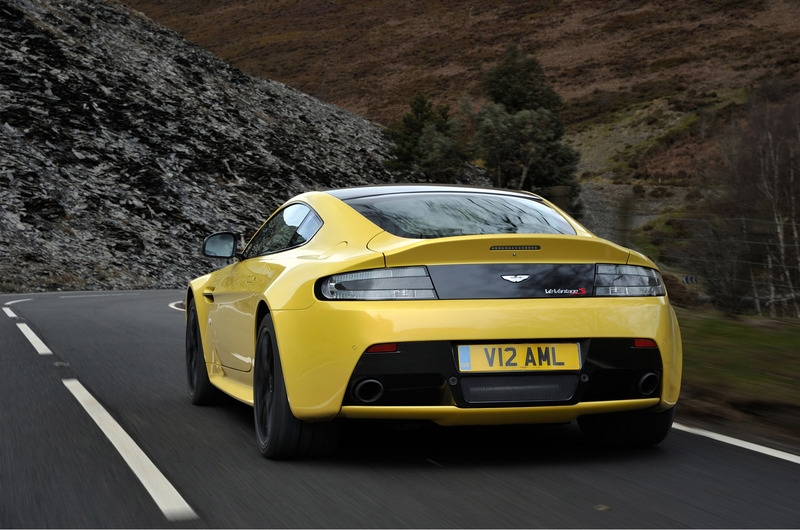 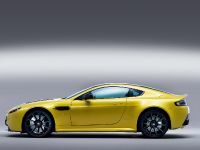 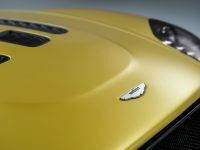 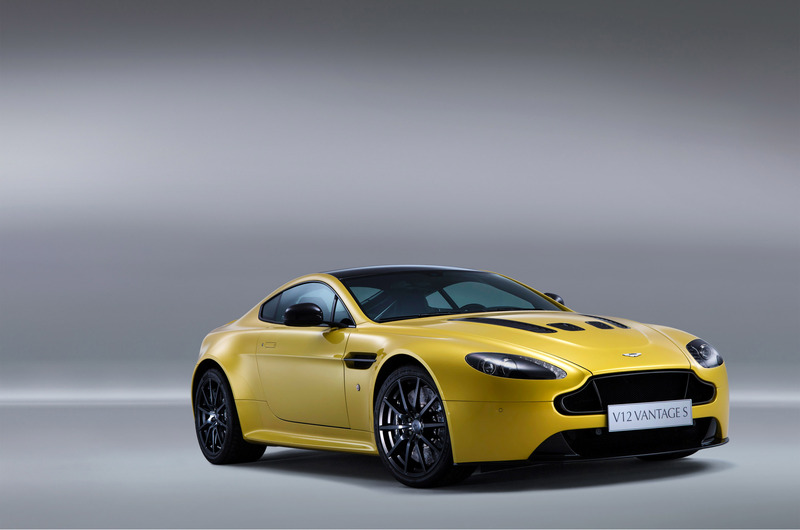 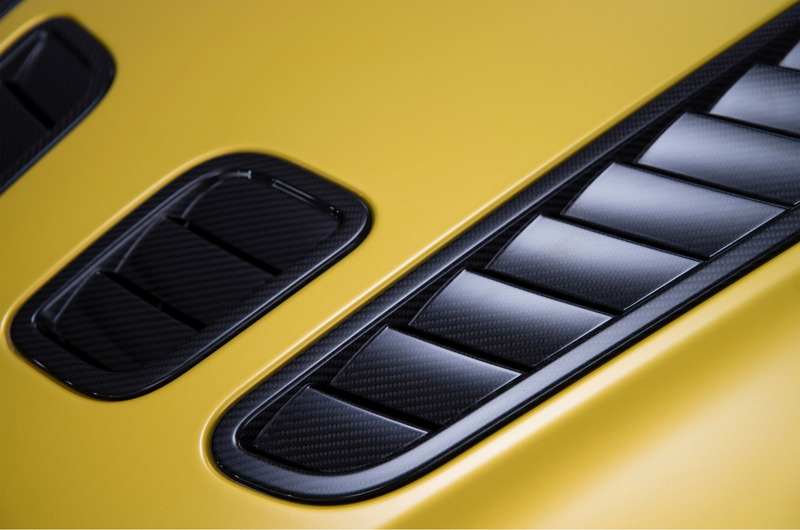 Next, the Aston Martin V12 Vantage S is powered by an AM28 6.0-litre V12 engine. 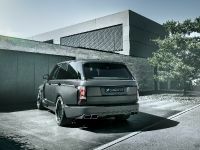 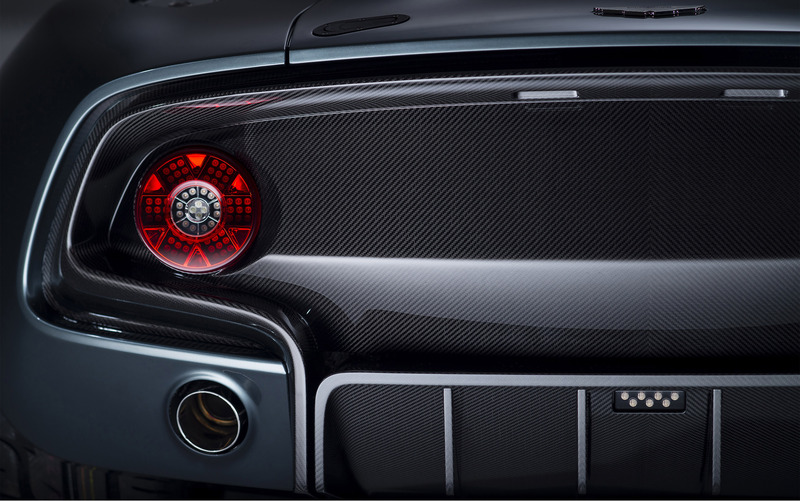 It generates 573 hp (421 kW) and 620 Nm (459 lb-ft) of torque at 5,750 rpm. 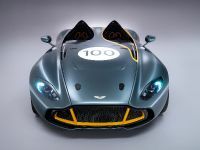 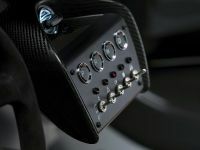 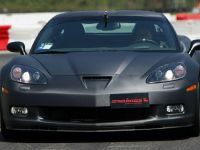 It covers the aacceleration sprint from 0 to 100 km/h in only 3.9 seconds on its way to a top speed of 330 km/h (205 mph). 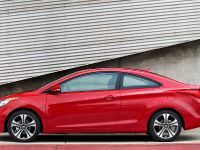 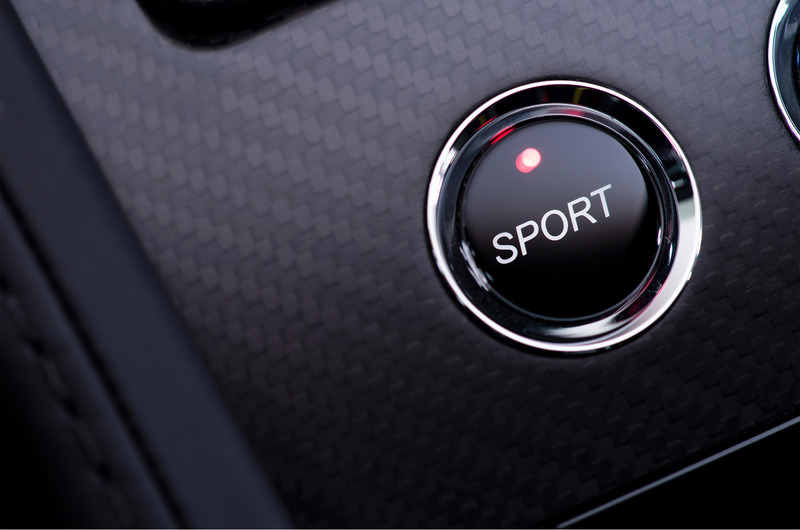 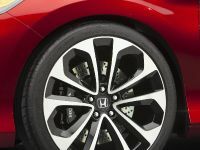 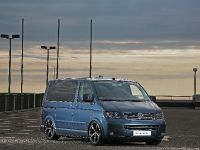 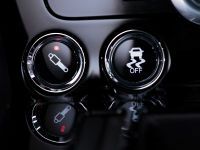 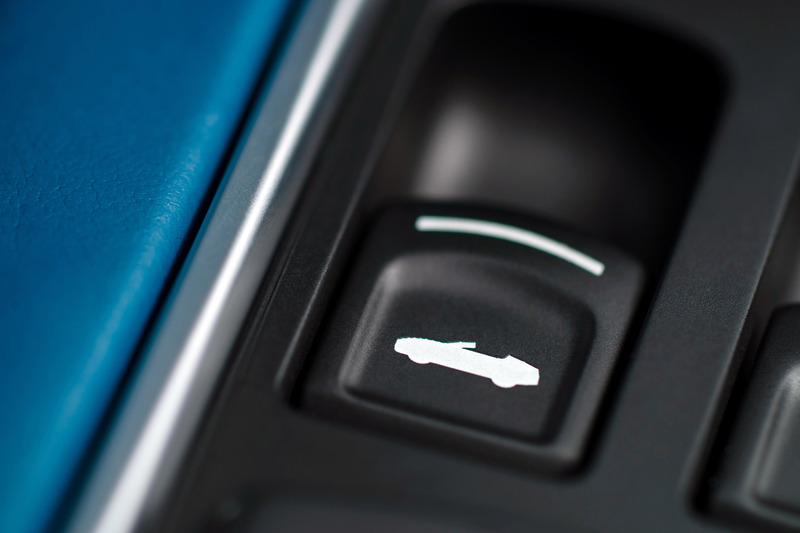 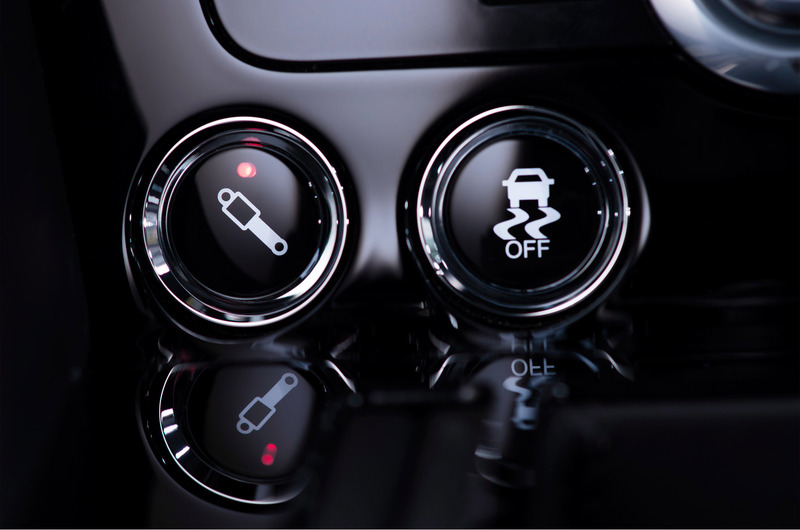 The engine is mated to a Sportshift™III AMT (automated manual transmission) which powers the rear wheels. 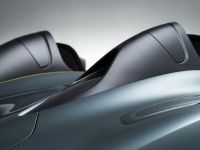 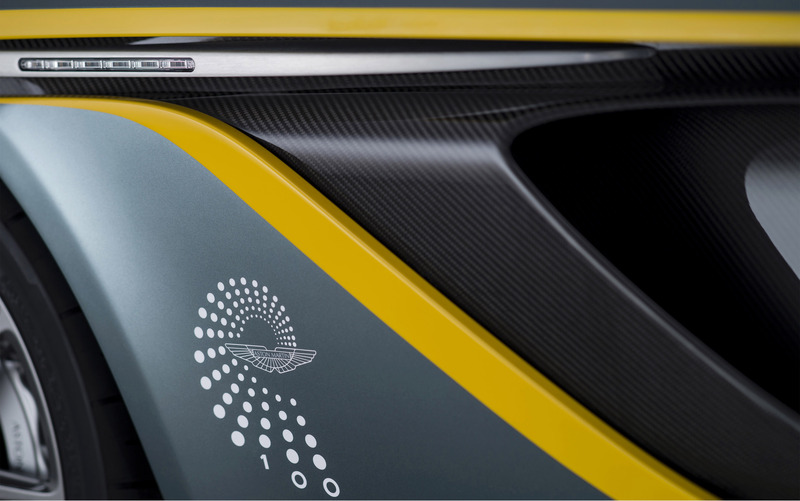 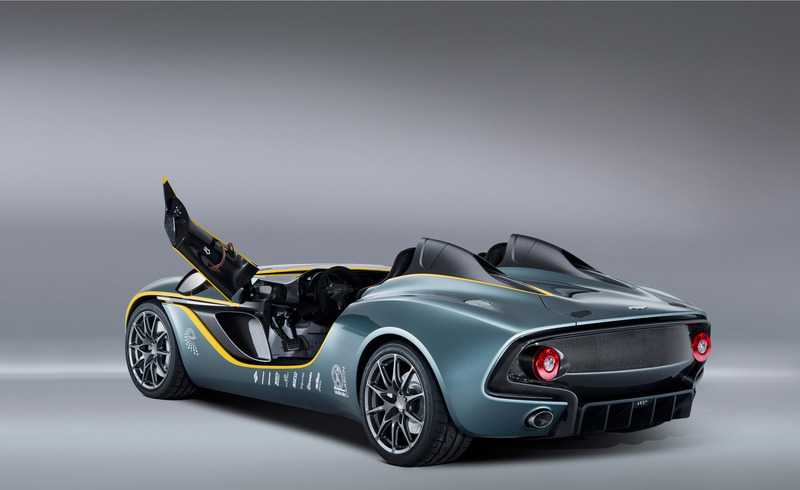 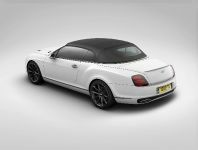 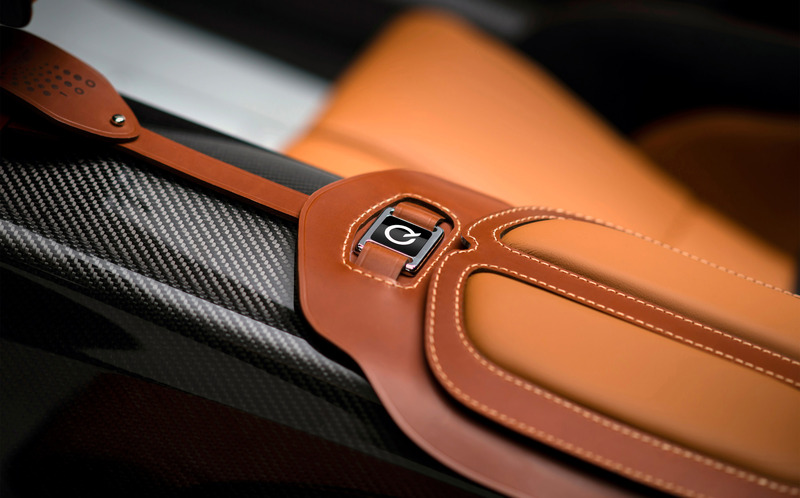 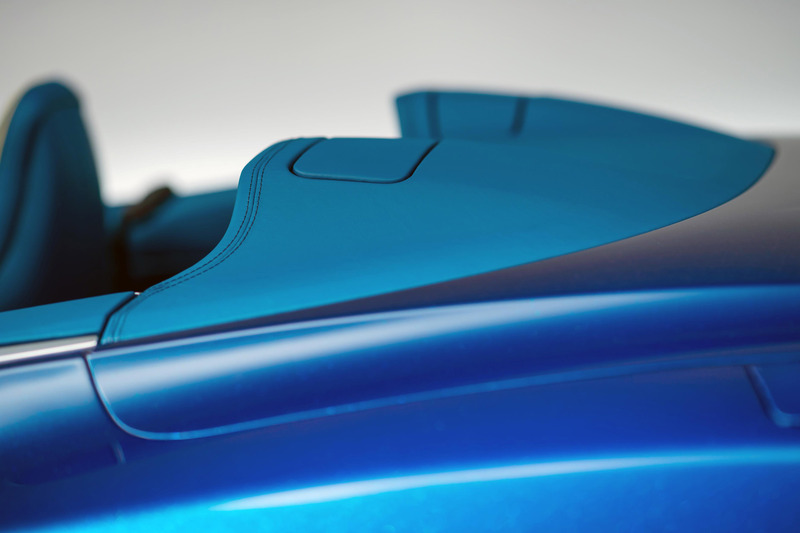 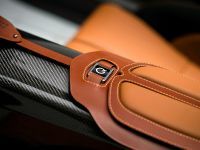 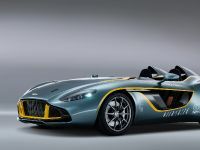 At last, in the CC100 Speedster Concept new materials were used for the build of its body and interior. 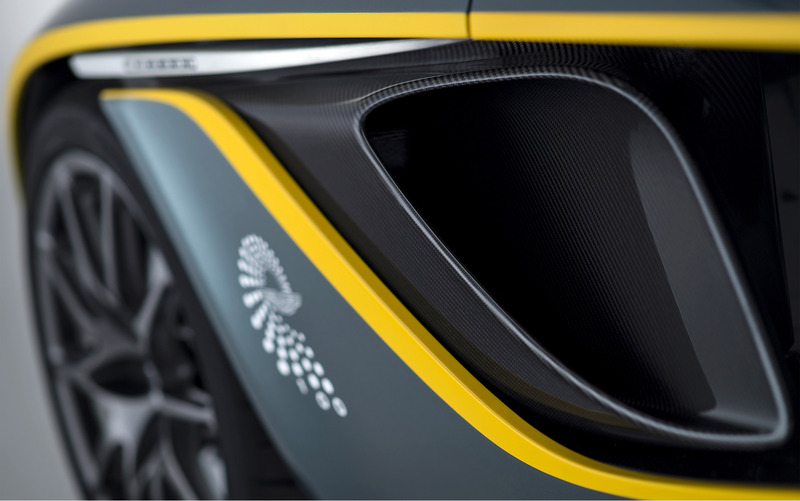 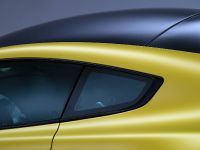 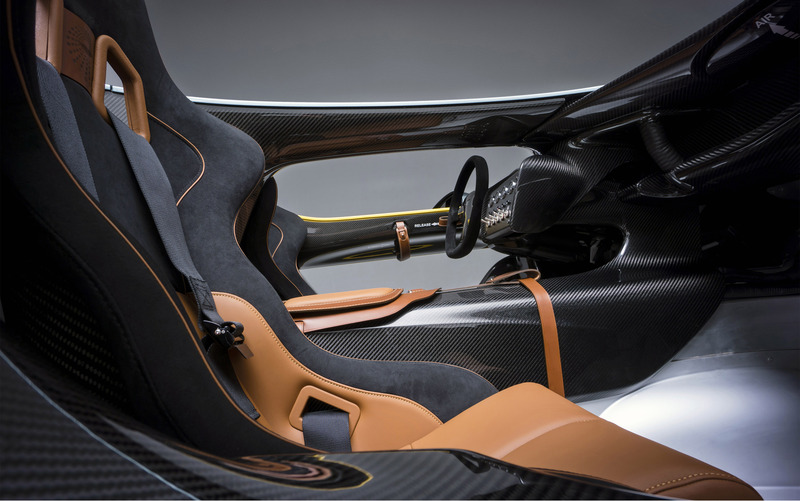 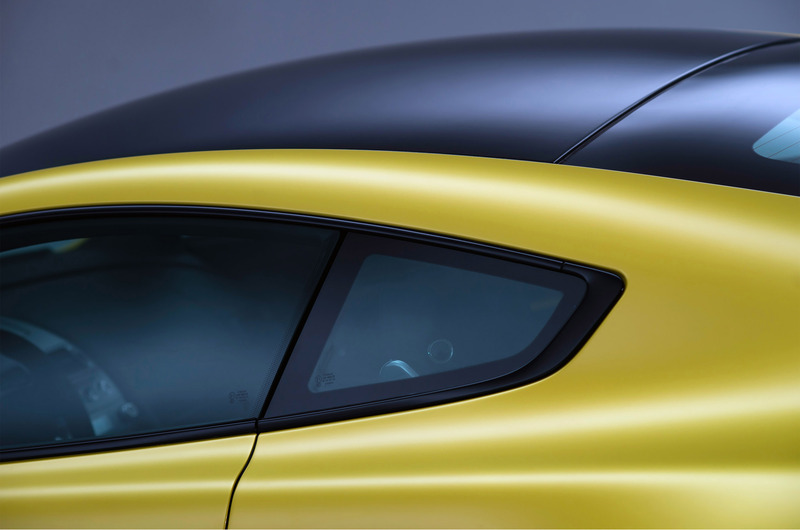 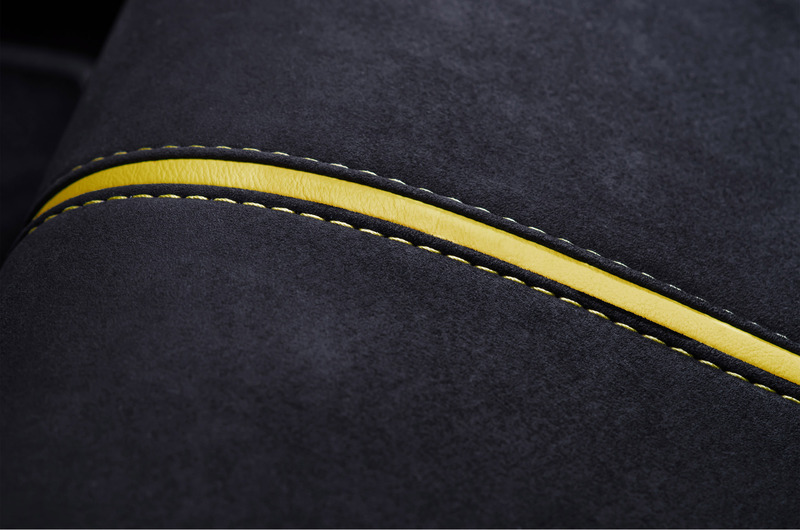 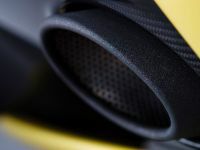 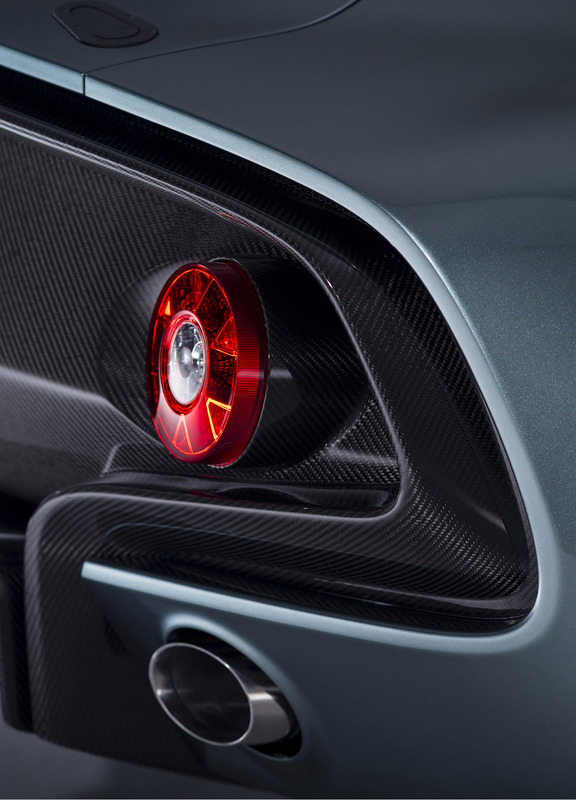 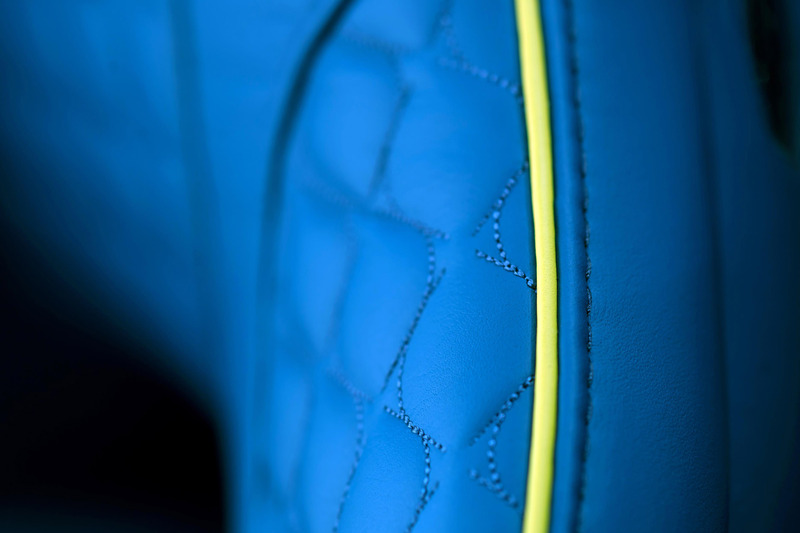 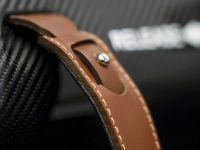 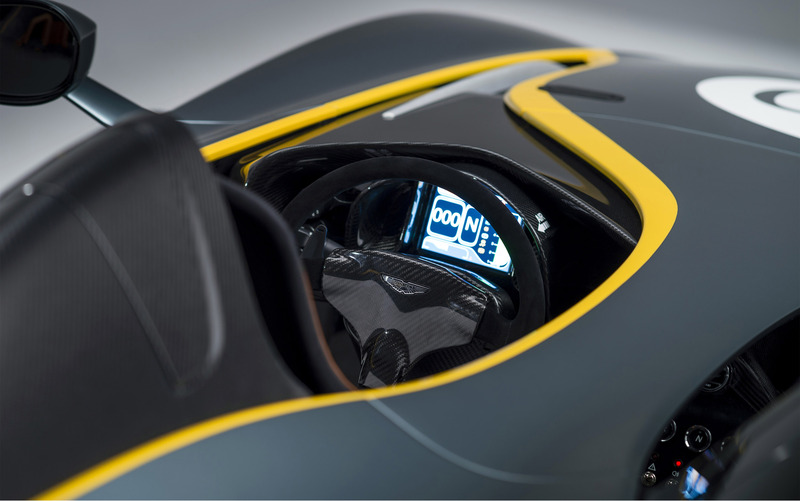 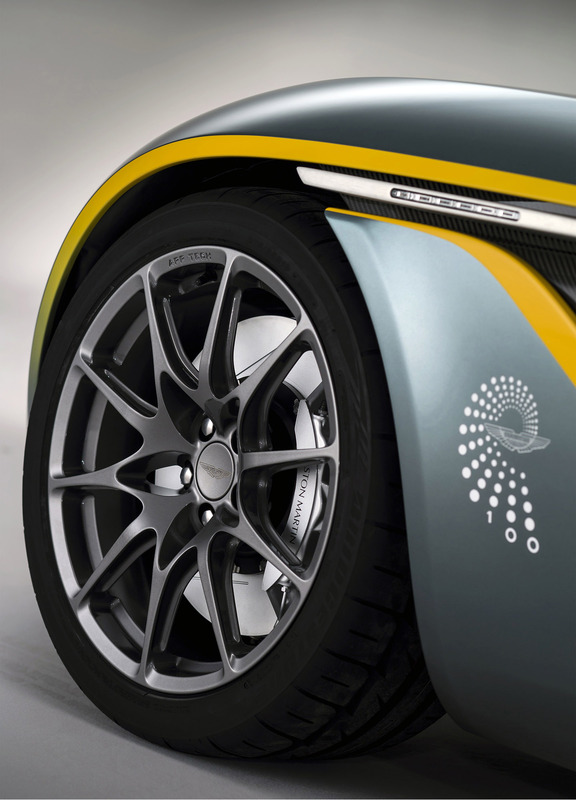 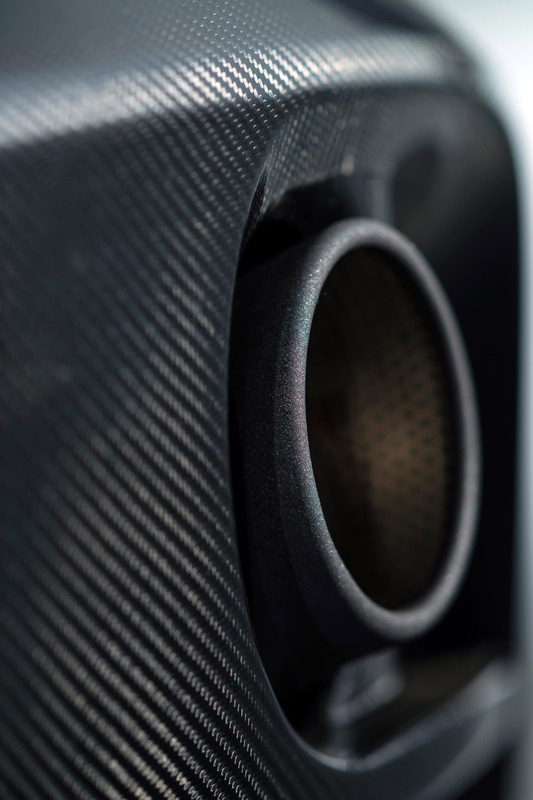 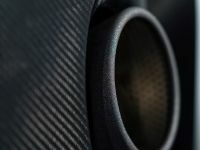 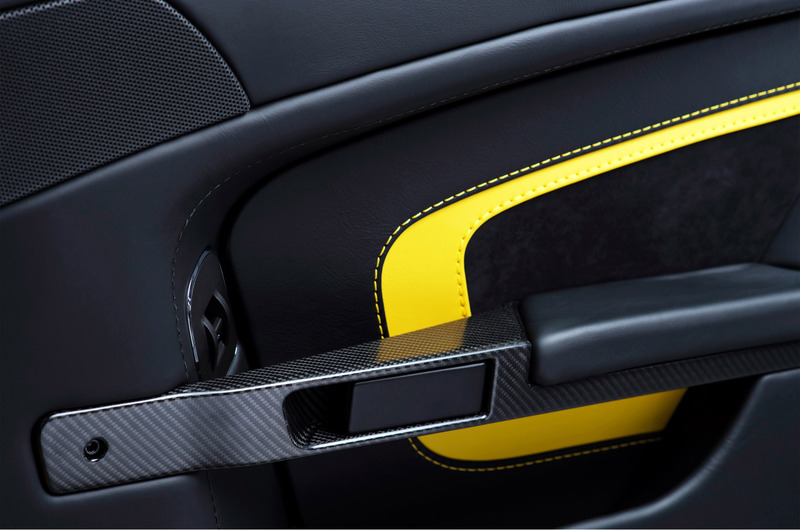 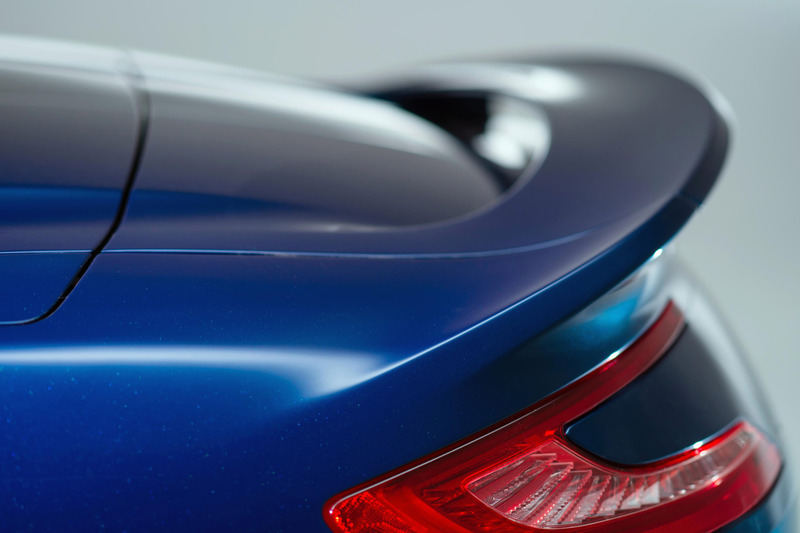 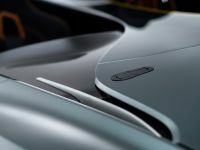 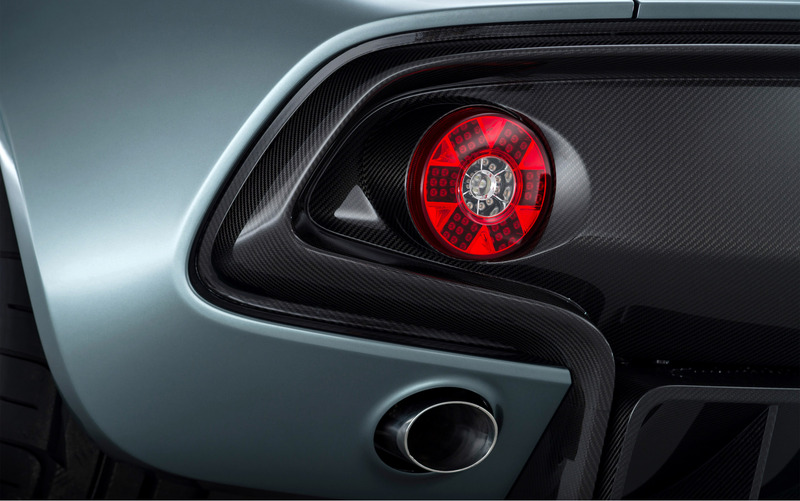 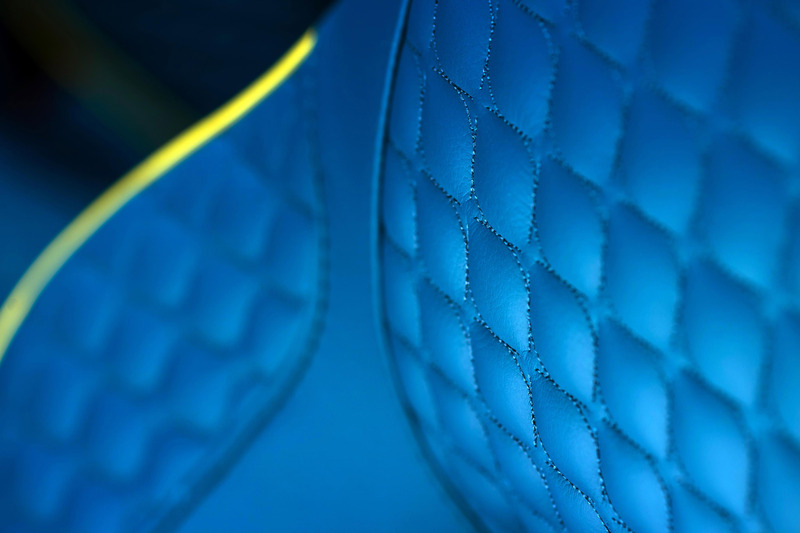 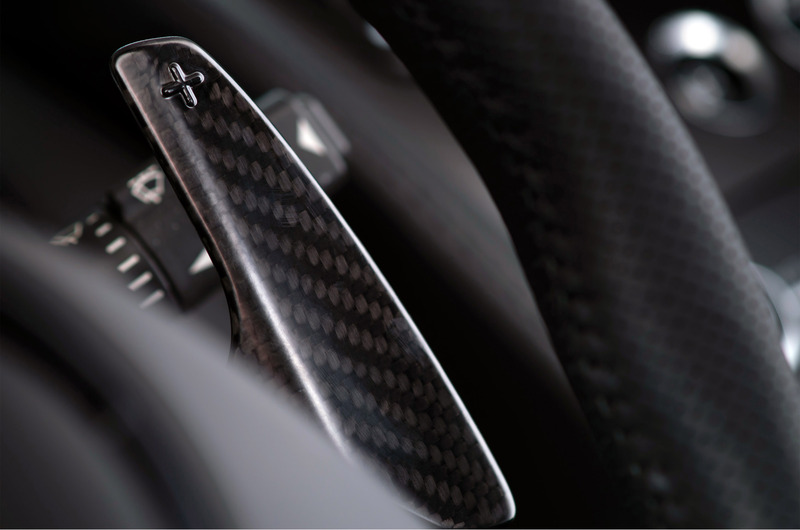 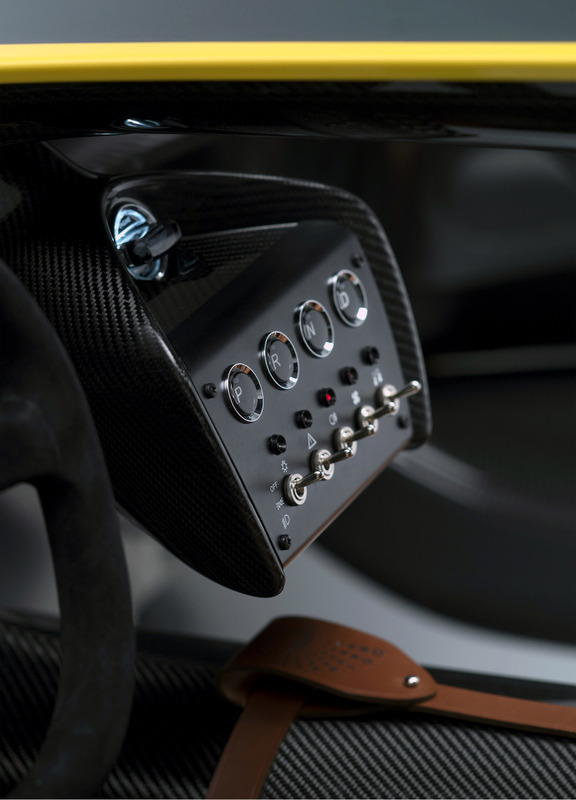 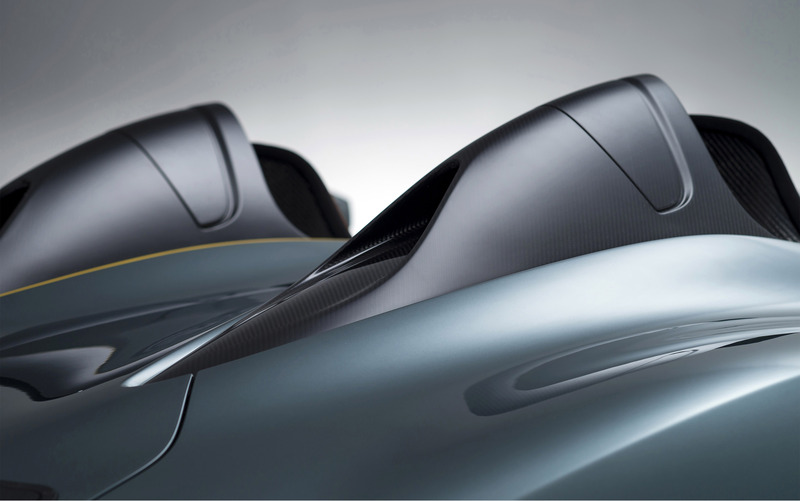 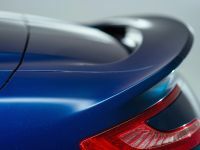 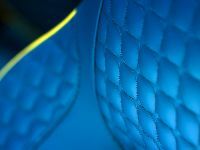 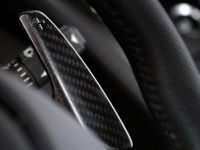 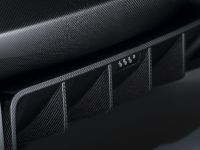 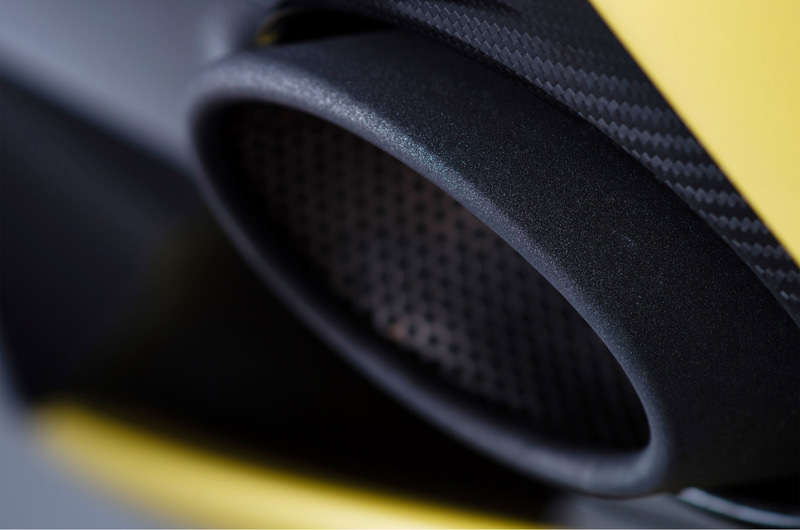 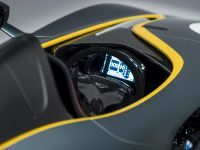 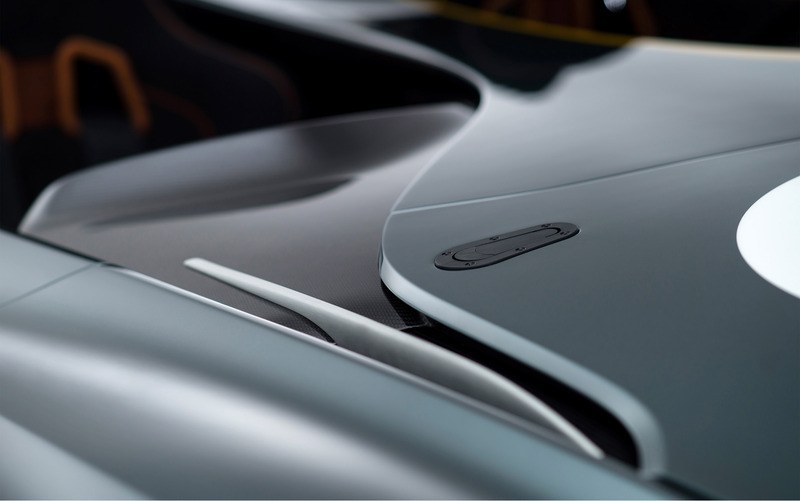 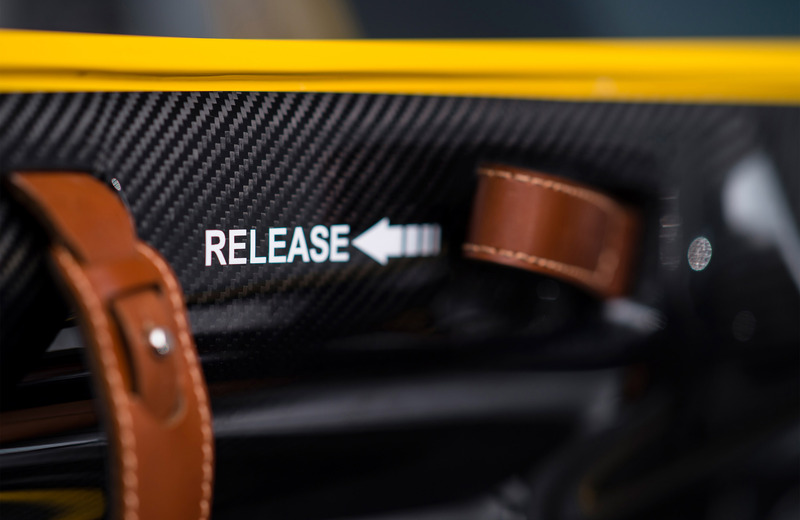 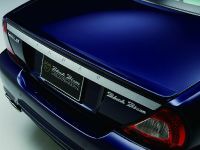 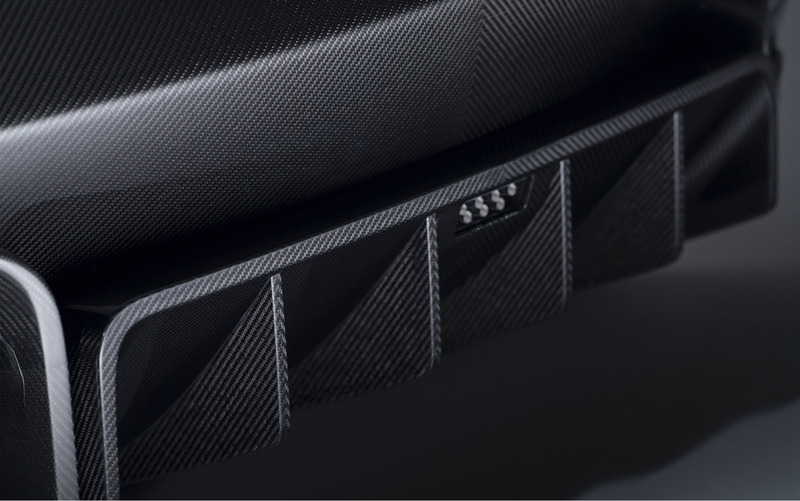 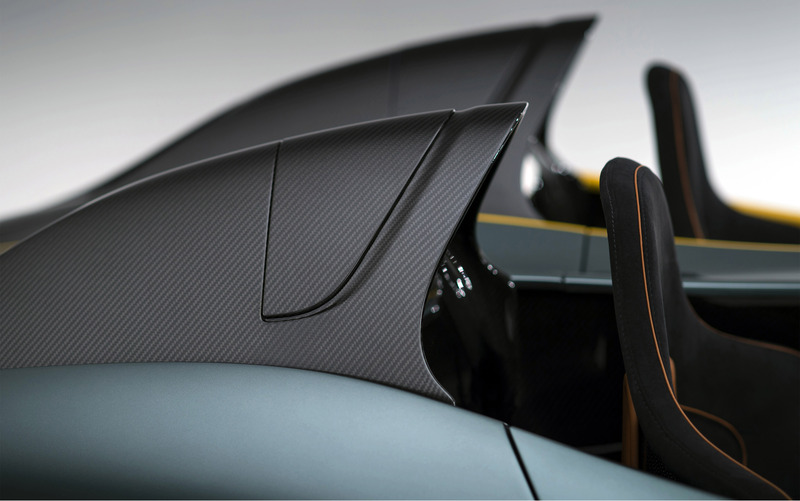 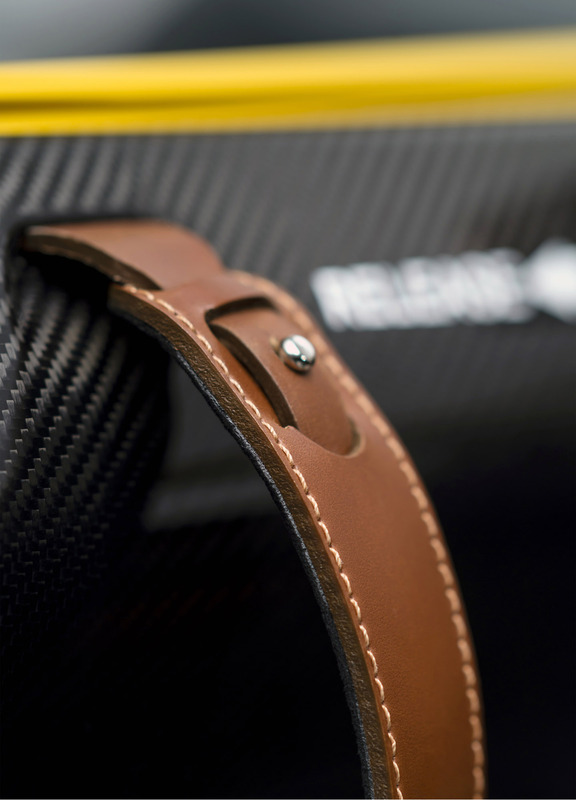 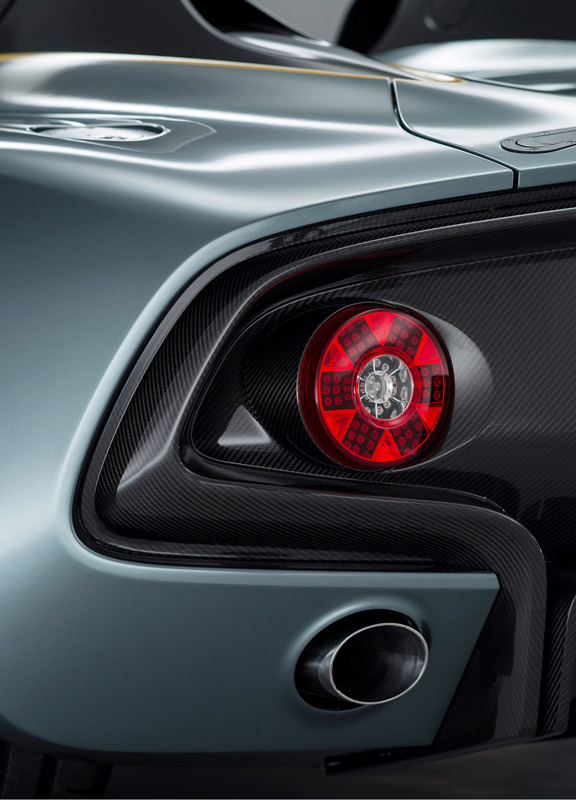 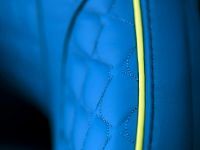 For instance, carbon fibre can be seen prominently in the design of the new concept. 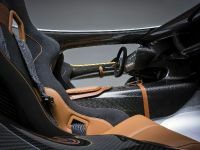 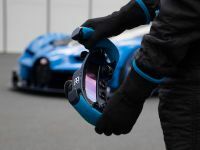 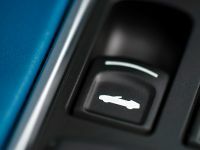 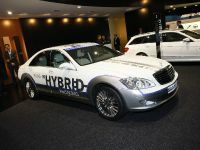 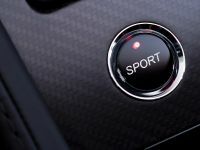 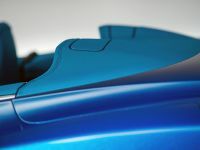 In addition, the CC100 utilizes the latest generation AM11 naturally aspirated V12 gasoline engine which is connected to a six-speed hydraulically actuated automated sequential manual transmission. 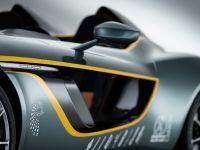 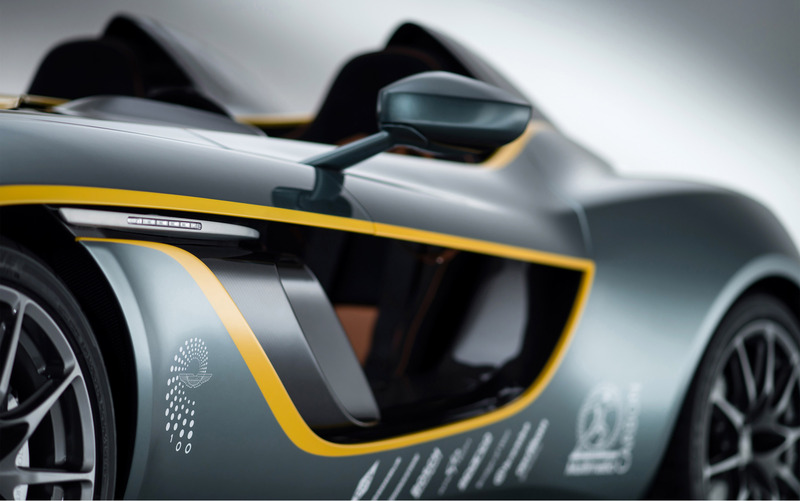 The new concept accelerates from 0 to 100 km/h in little more than 4 seconds and has a top speed of 180 mph.